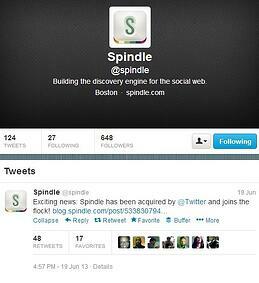 In social media news, Twitter recently completed their acquisition of Spindle, the local-discovery engine out of Boston. The company announced via their blog that they have packed up their office to join the flock in San Francisco, where they will be combining forces with Twitter, the current leader in micro-blogging social networks. “Every time we’ve experimented and looked beyond local discovery, we’ve been amazed by the breadth and quality of content shared on Twitter.” The startup, which was founded two-and-a-half years ago by former Microsoft and Facebook engineers, has already raised over $2.3 million in venture capital funding. The Spindle app, which has been described as a “local search engine”, sends Facebook and Twitter updates from local businesses directly to users' smart phones. For example, if your favorite bakery posts a tweet or a Facebook message about a special they happen to be running, you would receive an alert. You could then post the alert, along with an additional message, to your own social networks, all from your phone. Twitter's intentions remain to be seen as to whether they will integrate the app into the existing Twitter interface or operate it as a stand-alone application, under the Twitter banner, a la Instagram/Facebook. Unfortunately, Atlanta is not one of the few available urban centers being featured on the app, but it is likely that the influx of capital will allow them to expand. So what will be the impact to businesses and specifically inbound marketers? If launched nationwide, it could be very valuable to small businesses which rely on local markets and are looking to strengthen their brand loyalty. These businesses could close the gap with larger (and much better funded) franchise chains by offering customized local offers for their fans (read customers). 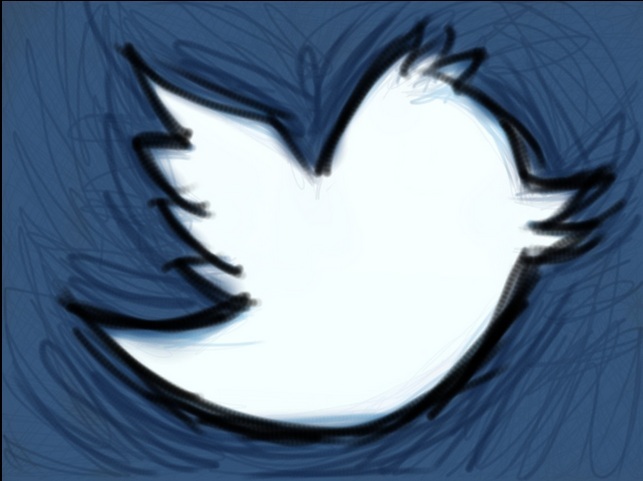 Twitter created a bridge between large businesses and their customers. Spindle could help smaller businesses cut through some of similar noise. If you need a refresher on how to use Twitter, as well as other social media marketing channels, read my 8-Step Golfer’s Guide. What could this mean for the Twitter v. Facebook fight for social media supremacy? The other major implication of the purchase is the role it will play in Twitter’s heated battle with Facebook. The biggest reason for Facebook’s meteoric rise was the targeted marketing capabilities it delivered to businesses. So far, Twitter has not been able to come up with a viable answer to Facebook in that regard. Spindle, however, could put a dent in Facebook’s ad revenue, because it is a more targeted way of discovering local opportunities and also provides more social interaction than Facebook ads. It is yet unknown how much Twitter paid for the startup and exactly what they plan to invest going forward, but with Twitter looking to go public in the near future and with Facebook's recently introducing hashtags (a Twitter invention), it is likely that they are planning to make some more bold moves. 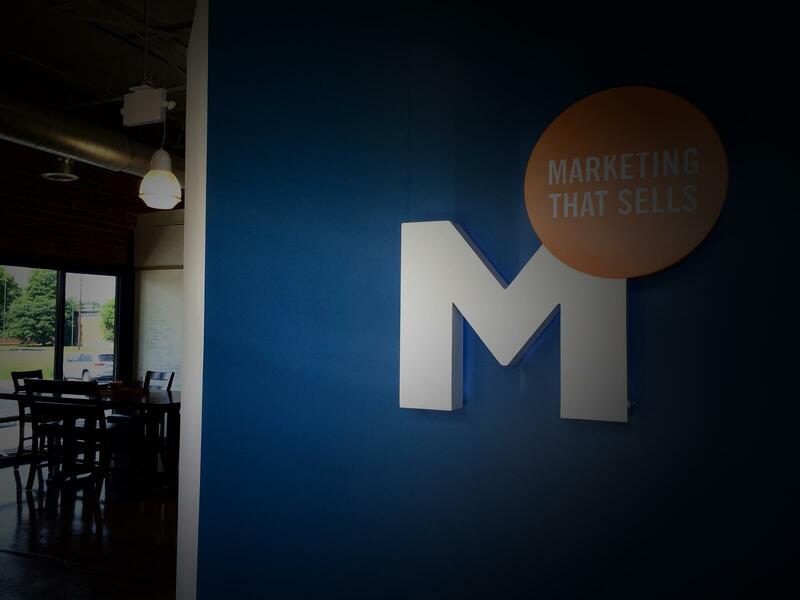 Be sure to Follow us on Twitter to make sure you don’t miss out on further analysis and best practices on all things inbound marketing.